Good Morning and isn’t this a beautiful color combination to wake up to! 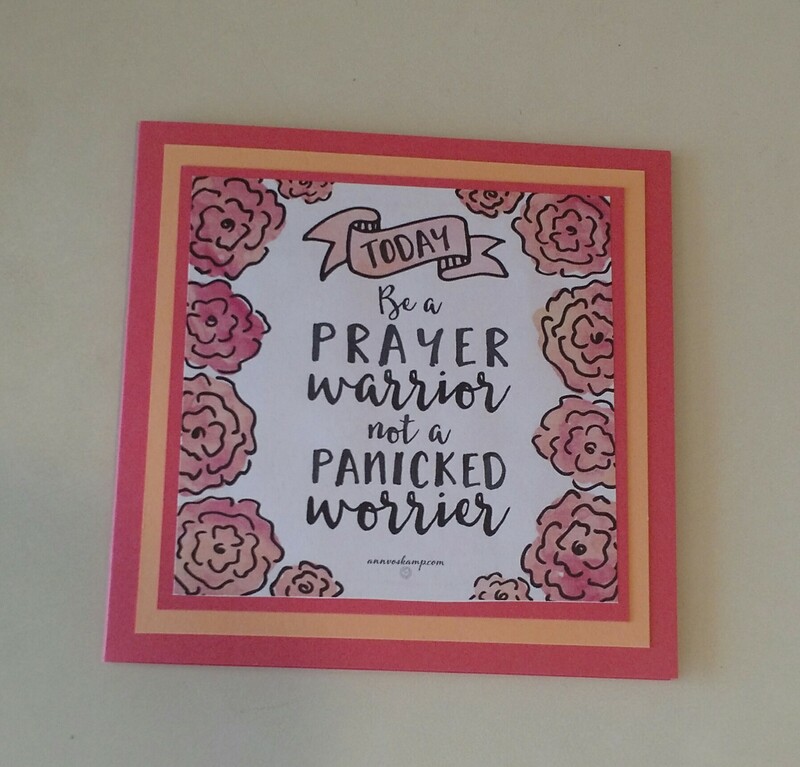 Watermelon Wonder and Peek-A-Boo Peach look delicious together (in my humble opinion) : ) and coordinate perfectly with this little frontpiece that I found on the “Free Tools” section of Ann Voskamps website (a christian blogger). Happy Feast of the Epiphany again! We celebrated it Friday but we celebrate it in our churches this weekend. 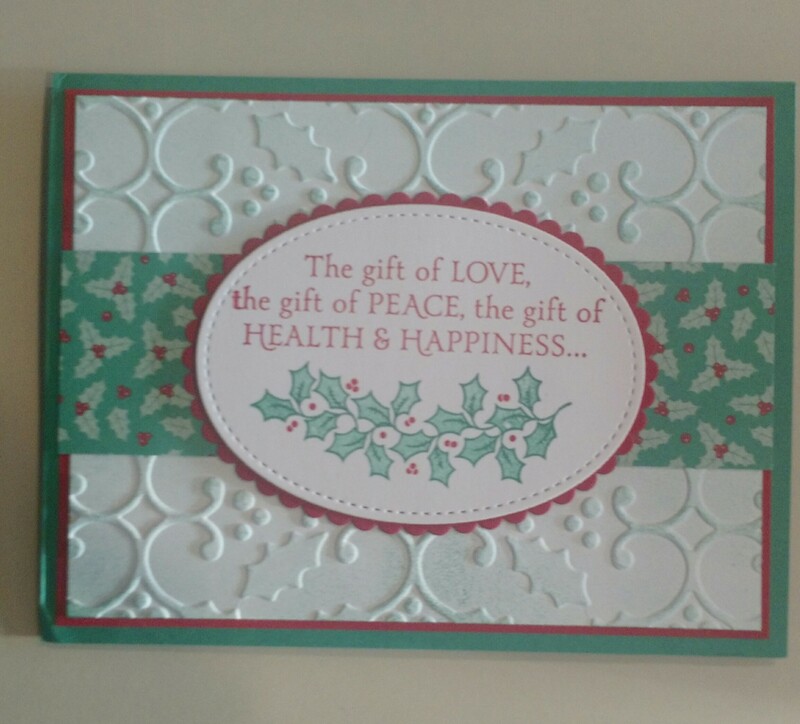 Today I’d like to showcase some of the beautiful cards I received over the Christmas season. The dove was made by Nancy Farrell, a dear friend I have made through this blog. This is the kind of person Nancy is…when I mentioned my friend Barbara who is fighting cancer, Nancy crocheted her a prayer shawl and sent it to her, despite the fact that she has never met Barbara, or me, in person! 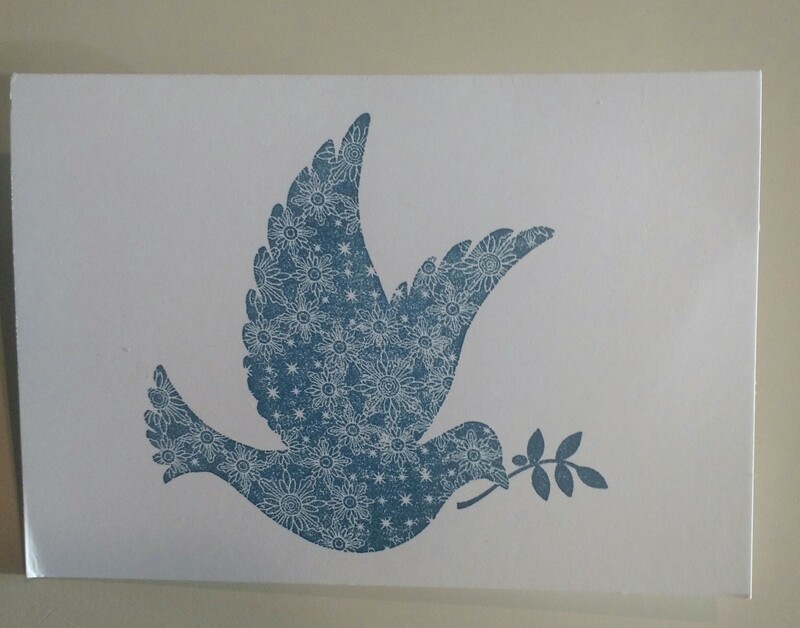 Thank you for the clean and simple card Nancy, so appropriate for “Stamping Peace!” On a side note, Barbara just found out this past week that her cancer has spread and would like the prayers to keep coming. We have a prayer chain for her, if you’d like to be on the three month rotating schedule, just let me know, or if you’d just like to offer some prayers for her, it would be appreciated. Barbara has lived down south for the past two years, but lived here in Maine for thirteen years. 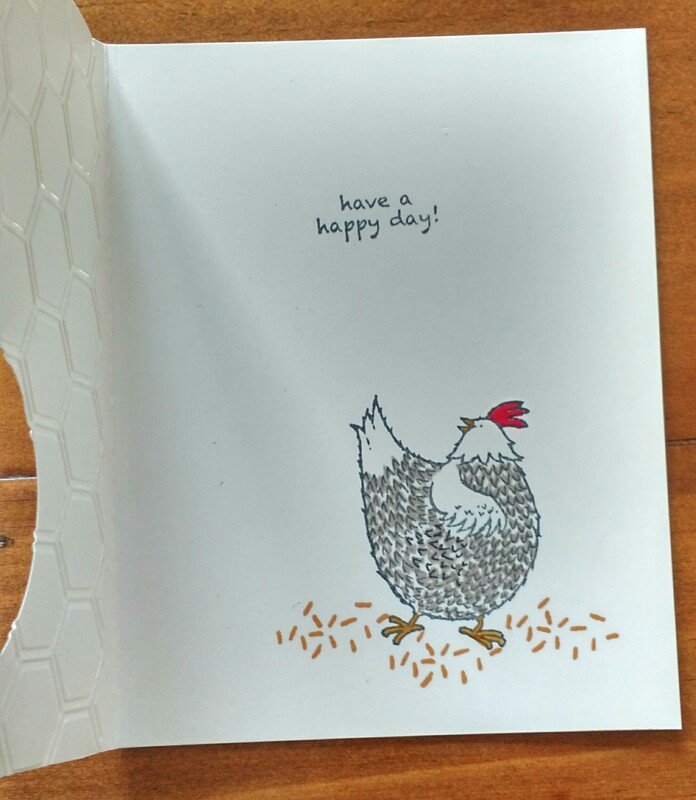 Here is another sweet “clean and simple” card, made by friend and Stamping Peacer Michele. Michele does not have the use of her left arm or hand so does all her stamping one-handed. She is one amazing young woman! 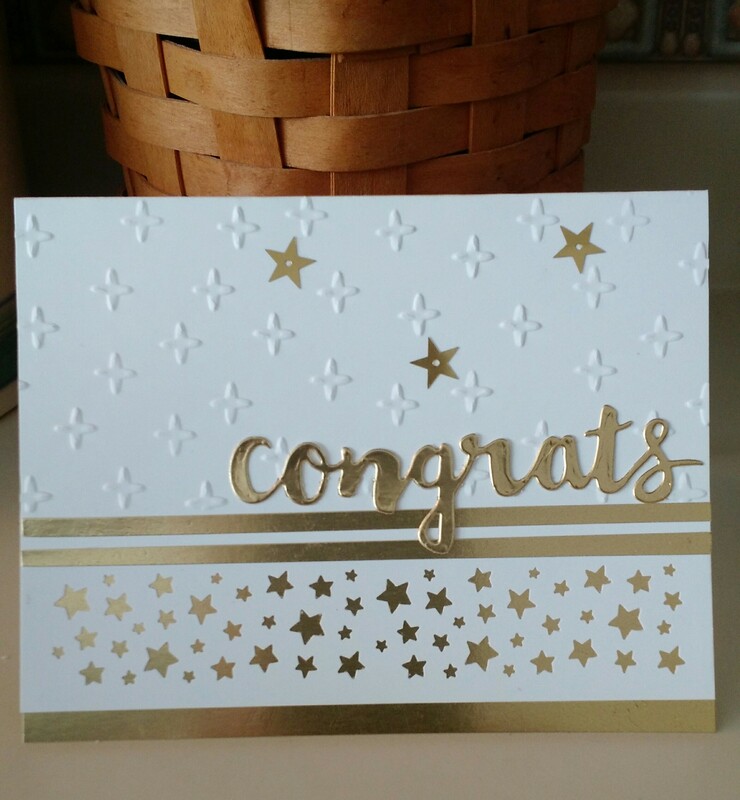 Thank you for the cute card Michele, and thank you for the video from your mom, capturing your reaction to your new Big Shot that you got for Christmas!!! 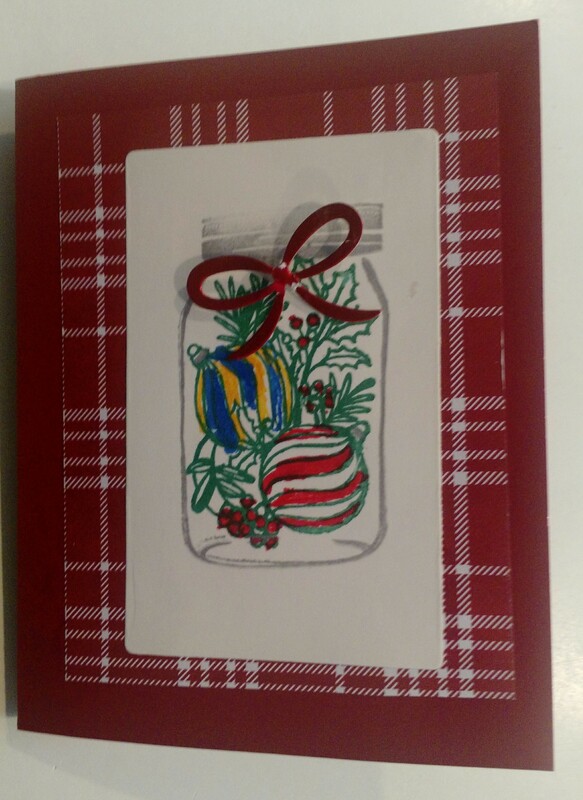 This beauty (I love plaid anything) was made by my friend, neighbor and Stamping Peacer (and Michele’s best friend! ), Whitney. 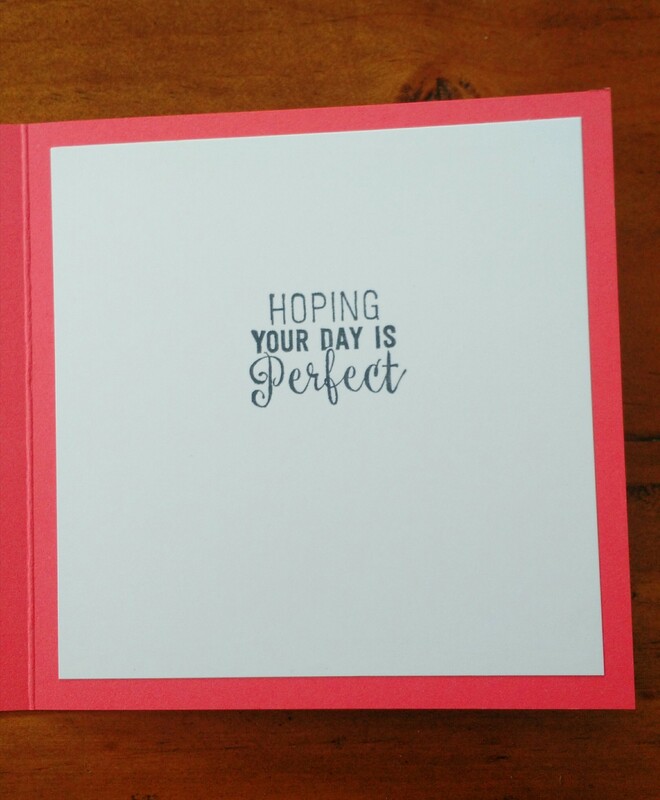 Whitney is an avid stamper and makes beautiful cards for all her family, extended family and friends. She is another amazing young woman! 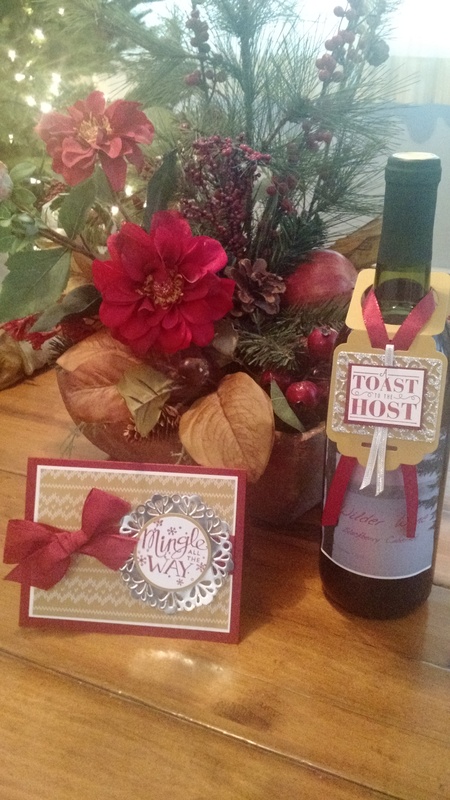 Thank you for the gorgeous card Whitney and thank you for sharing so many of your wonderful creations with me. 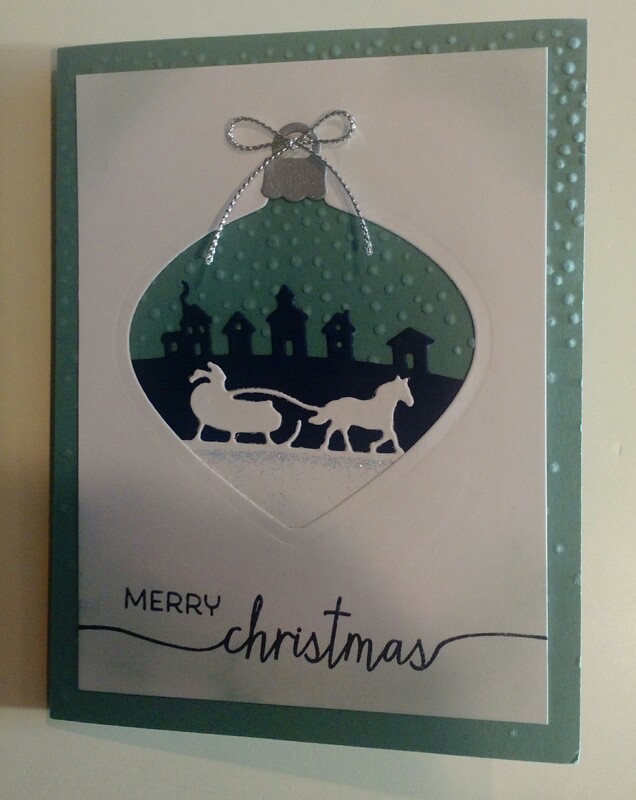 This pretty card was made by friend and side line, Beth Mills. 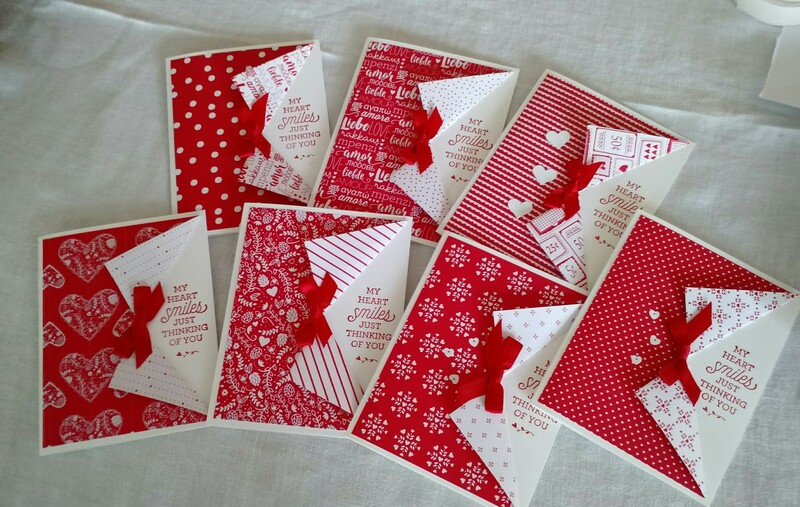 Beth holds amazing stamping events over in the Downeast area of Maine (I’m in central Maine). I will post the dates here on the blog when she hosts an event in case anyone wants to travel over to Dennysville for a fun-filled day of stamping! Thank you for the beautiful card Beth, and for sharing your great talents. This showstopper was made by my friend and sideline, Mimi, who you may have seen, had a birthday yesterday. Mimi is incredibly talented and inspires me in so many ways. Thank you for this beautiful card Mimi! 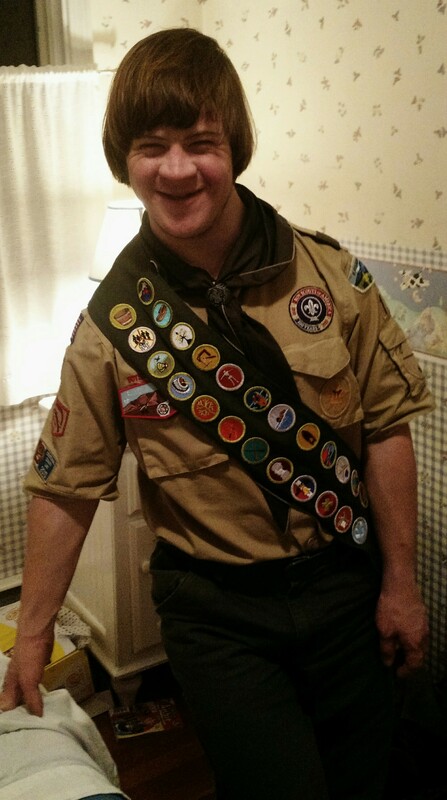 Hope you had a nice birthday! Thanks for visiting some of us “Stamping Peace” stampers today, have a wonderful day! It’s my good friend Mimi’s birthday today and I hope all the happiness she brings to others comes back to her today. 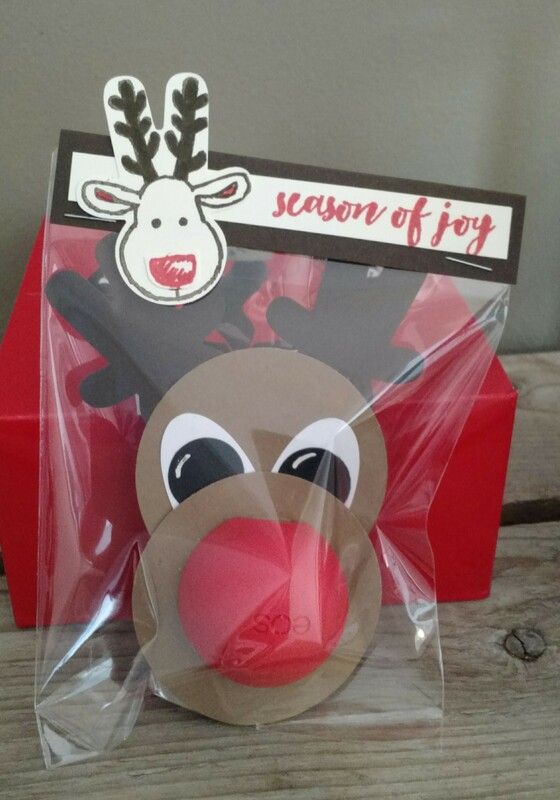 She teaches me so much, including this cute reindeer made with an EOS lip gloss as his nose! She made me one for Christmas and I turned around and made 20 of them for all my nieces and sisters-in-law. If you number your Circles dies from the smallest first, the reindeer is made with #1 for the eyes, #3 for the hole in the middle of the nose, and #5 for the head and nose. The antlers are made with the Cookie Cutter Builder Punch. Thank you for all that you do Mimi!!! 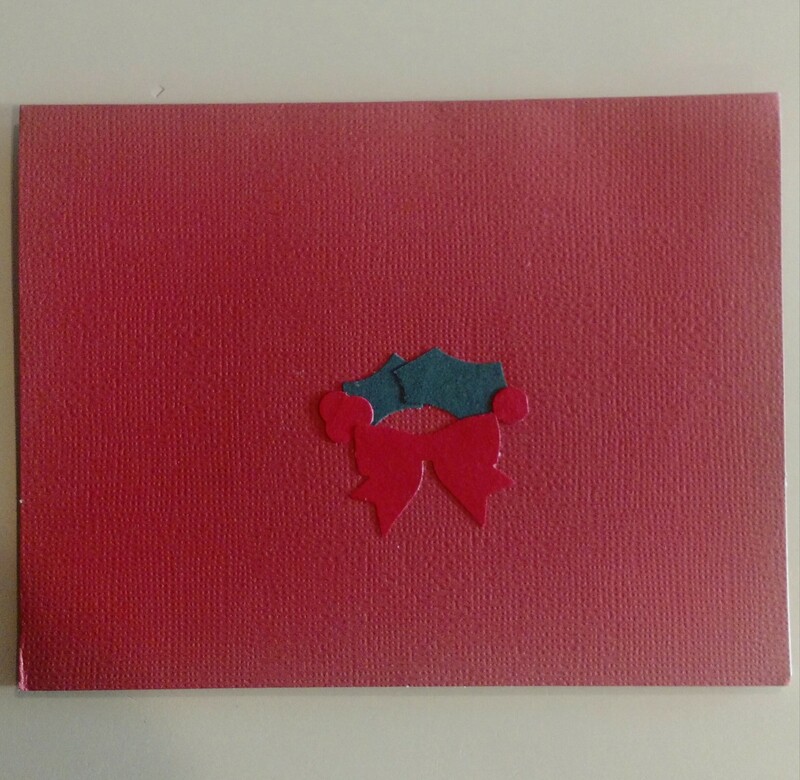 Note: The bag is a clear envelope and I made the “bag” topper with the Cookie Cutter Christmas Stamp Set. The EOS lip balm is the Summer Star Fruit Flavor and I used Watermelon Wonder Ink to match. I also made some with Rasberry Lip Balm and Melon Mango Ink to match. 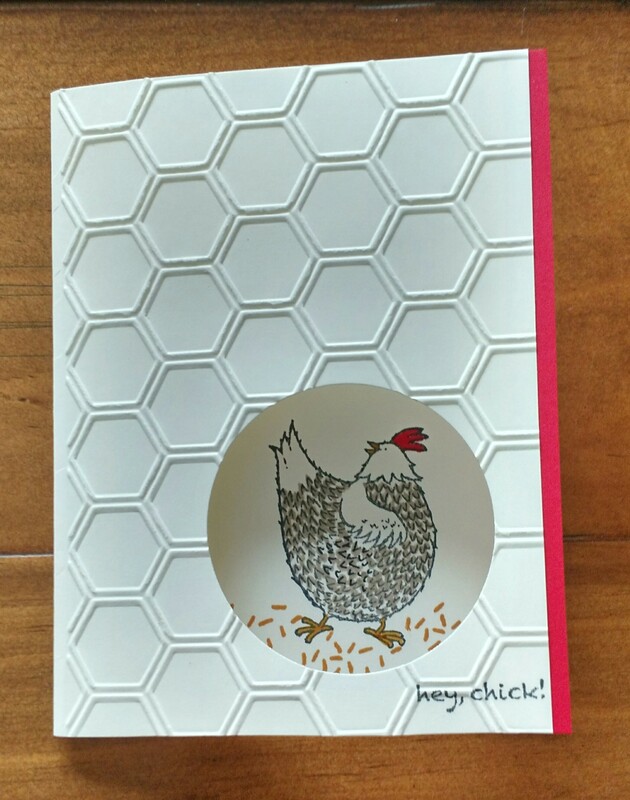 Back to Mimi’s birthday card, it’s a Mary Fish design made with the Birthday Blast Stamp Set in the new Occasions catalog. 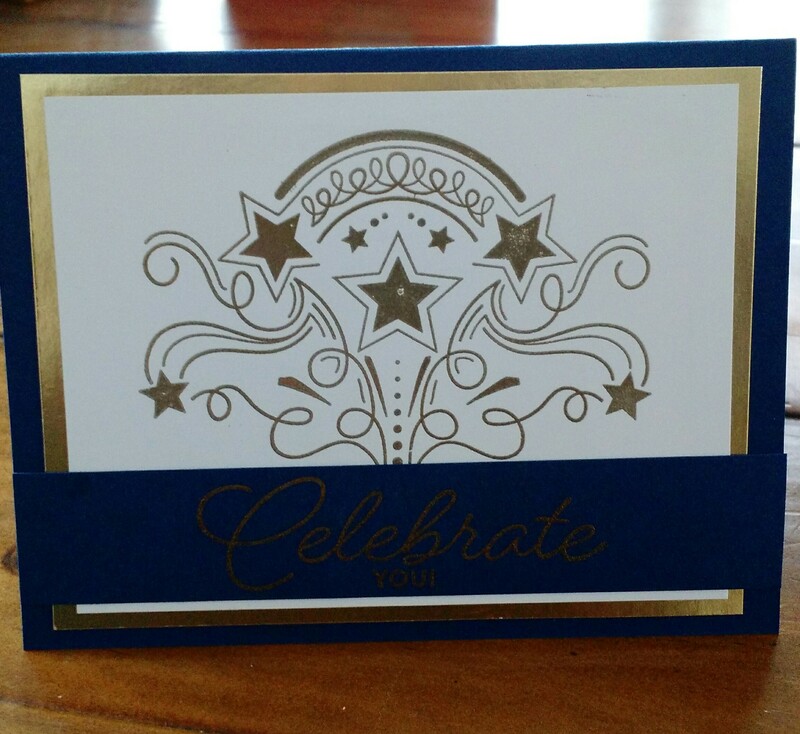 It’s hard to see, but the blue strip on the bottom is heat embossed in gold with the words “Celebrate You”. 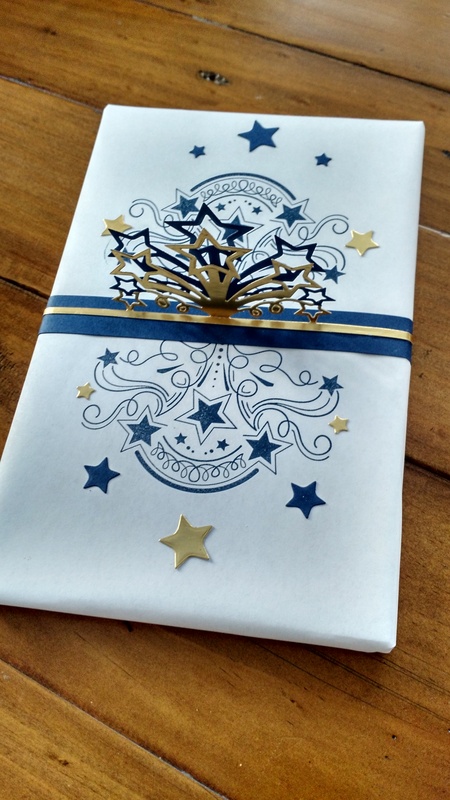 There is a coordinating Die called “Star Blast Edgelits” that I used with the Birthday Blast Stamp Set to decorate her package. Fun! Have a Happy Saturday and Happy Birthday Mimi! Cheers, Dawn.